As financial institutions across the board gear up for 2016, the year ahead poses some notably regulatory challenges. 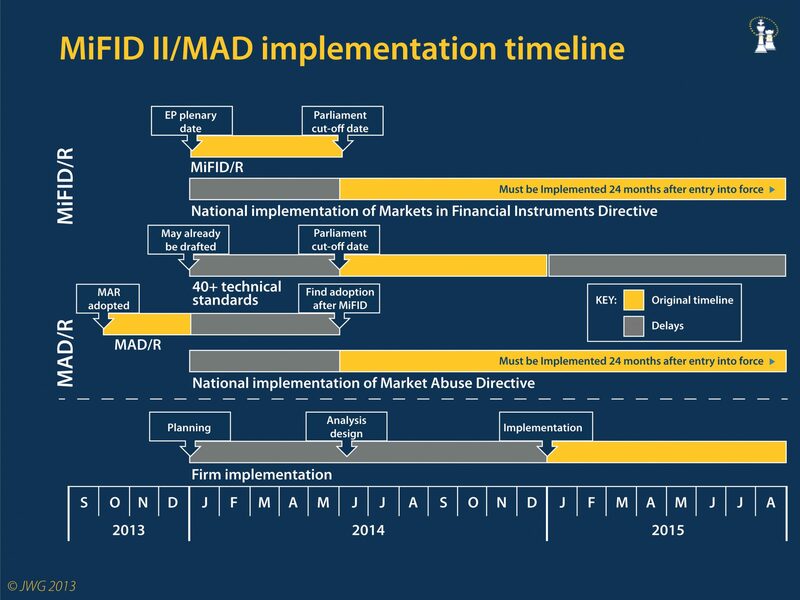 Not least among these is the impending Market Abuse Regulation (MAR) from the European Commission; there will also be further progress on MiFID II. On 3 July this year, an event will take place which will mark over a decade of dramatic change in the capital markets sector, while simultaneously setting the controls for the future. The European Union’s MAR will take effect. This regulation is the first major pan-European legislation on the subject for 13 years. In that time, electronic trading has completely transformed the way securities are traded. The rise of trading algorithms, alternative trading venues, new order types and new kinds of aggressive market participants and strategies has altered the balance and created new opportunities, some of which are open to exploitation by less scrupulous players in the market. In response, the Commission seeks to increase market integrity and investor protection while ensuring a single rulebook and level playing field across the EU. It also aims to increase the attractiveness of securities markets for capital raising. According to the UK’s Financial Conduct Authority, “MAR will strengthen the existing UK market abuse framework by extending its scope to new markets, new platforms and new behaviours. It contains prohibitions for insider dealing and market manipulation, and provisions to prevent and detect these”. The main elements of MAR concern insider dealing, unlawful disclosure of insider information and market manipulation. The rules cover exchanges, MTFs and OTFs as well as instruments traded OTC that have an impact on the securities traded on those kinds of venues. Suspicious trading activity has also become harder to spot due to the fragmentation of markets since 2007. In particular, the rise of sophisticated market manipulation strategies poses a potential challenge to the fairness of the market. While trading venues are required to monitor activity and report anything suspicious, more advanced strategies can be designed to carry out activities across multiple venues. While none of their activity appears suspicious when looked at one venue at a time, cumulatively it can still be used to distort the market. As part of a drive to counter this possibility, the scope of the new regulation is broader. How do MARket participants justify surveillance spend in an era of cost cutting? Since the Market Abuse Regulation (MAR) came into effect in July 2016, our ongoing conversations with banking organisations indicate that whilst the regulation is aimed at improving market integrity, it has also exposed inefficiencies within some banking monitoring systems. Dinosaur Merchant Bank, a UK-based investment management, brokerage and advisory firm, has deployed Ancoa’s surveillance platform to monitor its equity trading activity for instances of market abuse and to meet their obligations under Market Abuse Regulation (MAR).